In recent years, Internet platforms have increasingly had security problems. Insufficiently protected databases have been hacked with the goal of retrieving large amounts of user data. 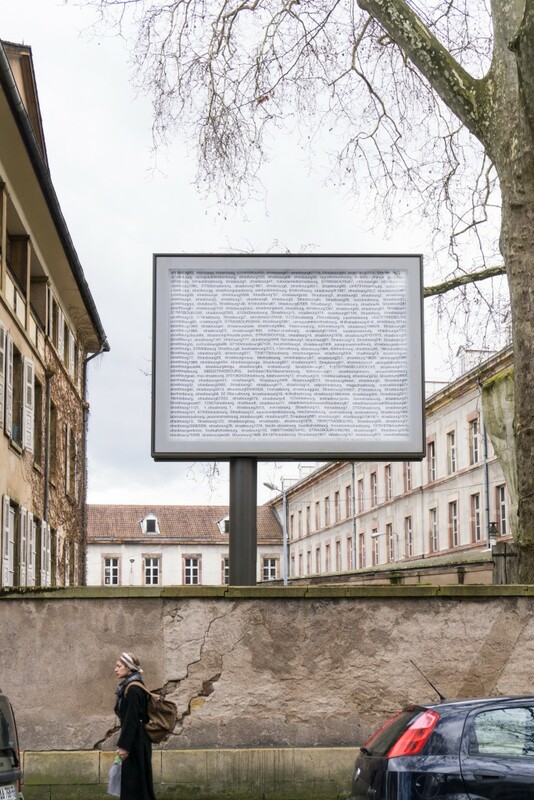 The data—email addresses and passwords—were then traded on the darknet or hidden forums. The value of the data from these breaches has since diminished and today much of it can be found on the open Internet. Forgot your password? 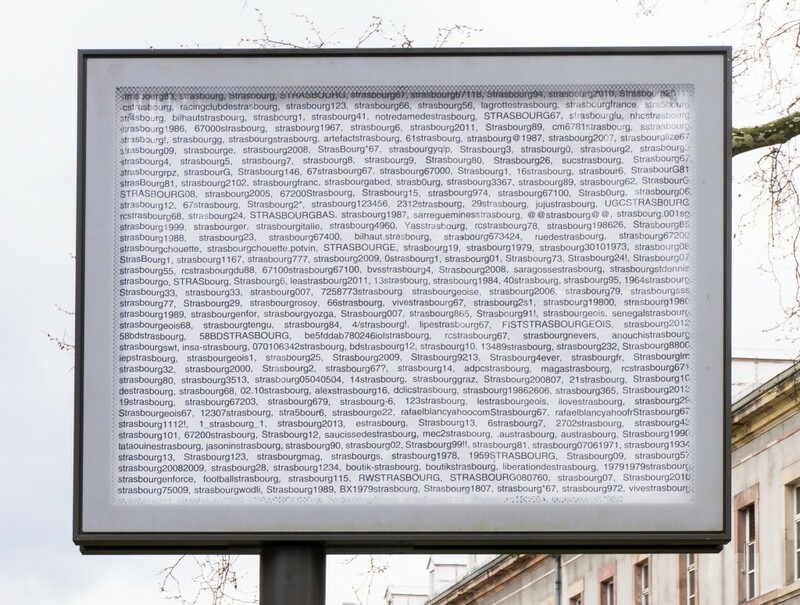 (city version) displays a collection of user passwords containing ‚Strasbourg‘ on a commercial billboard in public space. 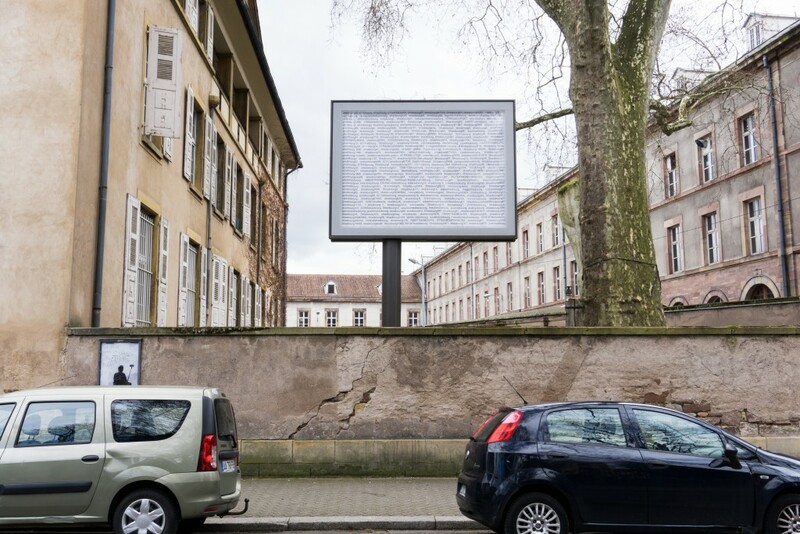 The work is part of a planned series of billboards in cities around the world, the content changing according to the location.